Located behind the J. E. Reeves Home is the turreted Carriage House. Designed predominately of Queen Anne styling, it features a Richardsonian inspired archway which invites visitors to explore the treasures inside, including the Rauch and Lang electric car, the Reeves family sleigh, their 1892 hansom carriage, a restored doctor's buggy, and an orchestral Regina music box. The Carriage House also includes a small gift shop with post cards, newsletters, books, and knick knacks to remember your visit to the Reeves Home. 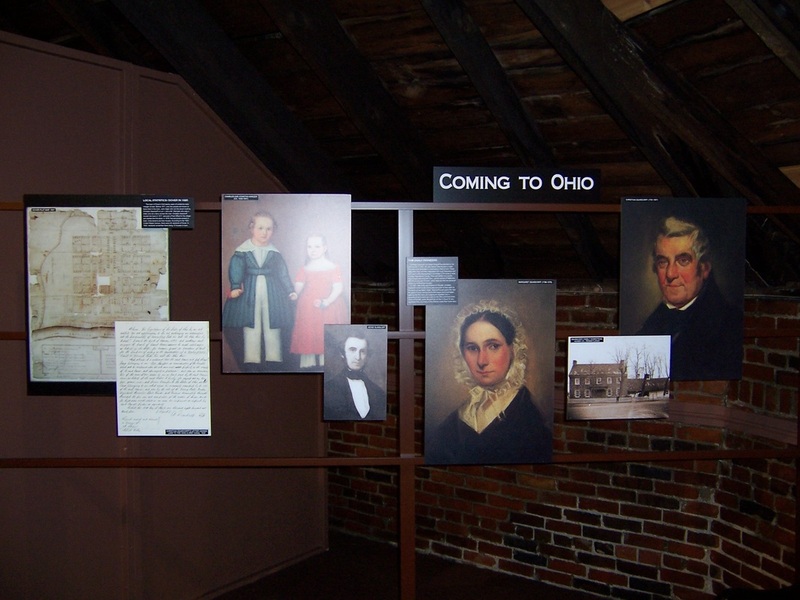 The top floor of the Carriage House features an exhibit entitled: Canal Dover--Life in Nineteenth Century Tuscarawas County. 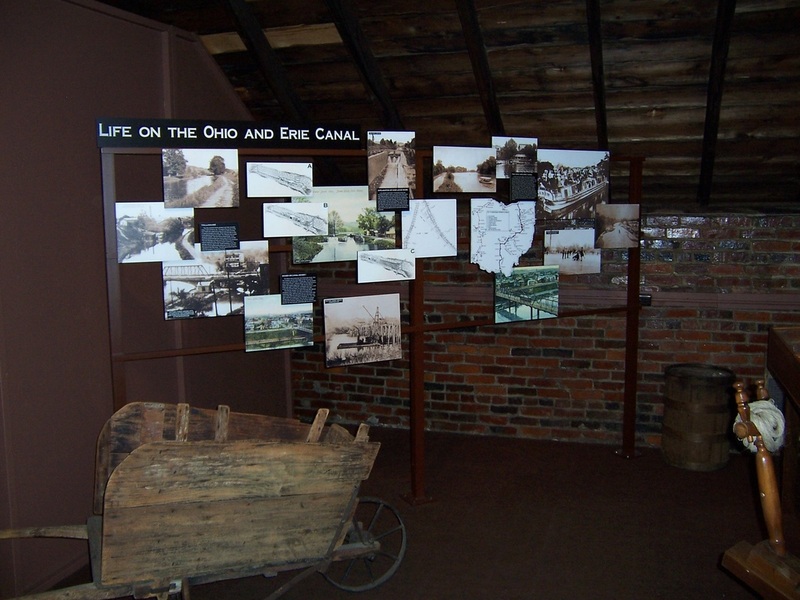 The Ohio and Erie Canal was built in Ohio from 1825 to 1832. The canal followed the path of the Tuscarawas River through the town of Dover. A toll booth sat along the tow path in Dover and every boat passing by had to stop to pay its toll. Dover became an important port town along the canal in this area. In the early year's of Ohio there were 4 Dover's in Ohio, and the presence of the canal in town led this town to be called "Canal Dover" by the United States Post Office. This moniker held until 1915. The top floor exhibit uses QR codes, text panels, photographs, artifacts and a time line to tell Dover's history from its founding by Christian Deardorff in 1807 until the Great Flood in March of 1913 that destroyed the canal across the state.